Soft, furry and so lovable! Let your baby enjoy the Baby edition of the much loved Bashful range. 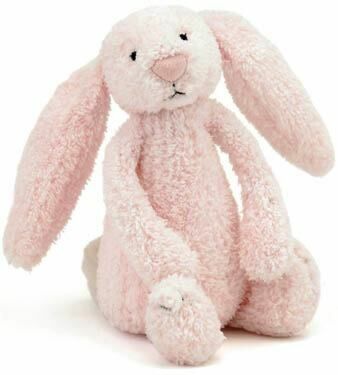 Your baby will quickly make friends with this little soft bunny with long floppy ears and long paws. This Bashful bunny rattles too, providing a distraction and amusement for your little one.